JOHANNESBURG — “This is the greatest day of my life,” the young man yelled at the NBA Africa Game on Saturday night as he stared at his idol from about 50 feet away while security watched him closely. The South African wasn’t gushing over NBA standouts DeMarcus Cousins, Dirk Nowitzki, Kristaps Porzingis, Kyle Lowry or Thabo Sefolosha, who has South African ties. He was freaking out over the most popular athlete and celebrity in attendance. Futbol legend Thierry Henry was at the game as an NBA Global Ambassador, and his presence was known without him taking a single 3-pointer. I’ve been around Muhammad Ali, Magic Johnson, Carl Lewis, Kobe Bryant, Branford Marsalis, Larry Bird and Allen Iverson in public situations. In each instance, the world stopped with each step they took. Autographs. Pictures. Fan rudeness and silly questions. Add to my list Henry, one of the greatest soccer stars of all time and one of the most popular athletes the world has known. Henry admittedly can’t hoop, but he is a huge basketball fan who enjoys the challenge of attempting to kick basketballs into the rim. It’s not uncommon for him to hang out at the NBA office in London. The Frenchman has been going to NBA Finals games since Bryant and Shaquille O’Neal defeated Iverson and the Philadelphia 76ers in 2001. It’s not uncommon to see Henry, perhaps the best friend of Spurs guard Tony Parker, in San Antonio, where the AT&T Center attendants know him during NBA games. Where in the world is Lloyd? I’m a huge Arsenal fan, and it was a pleasure to talk about the good and bad of the Gunners with their former great one afternoon, as well as the history of French basketball. Henry must have been approached at least five times for a picture and graciously took each one without hesitation. He never seemed annoyed, as long as the fan was respectful. I asked how many times he gets asked to take a picture in a day. He just smiled and said he didn’t know. One woman approached him late Saturday night and said, “Can I take a picture with you for my son?” Henry joked with a smile, “You don’t need an excuse to take a picture. 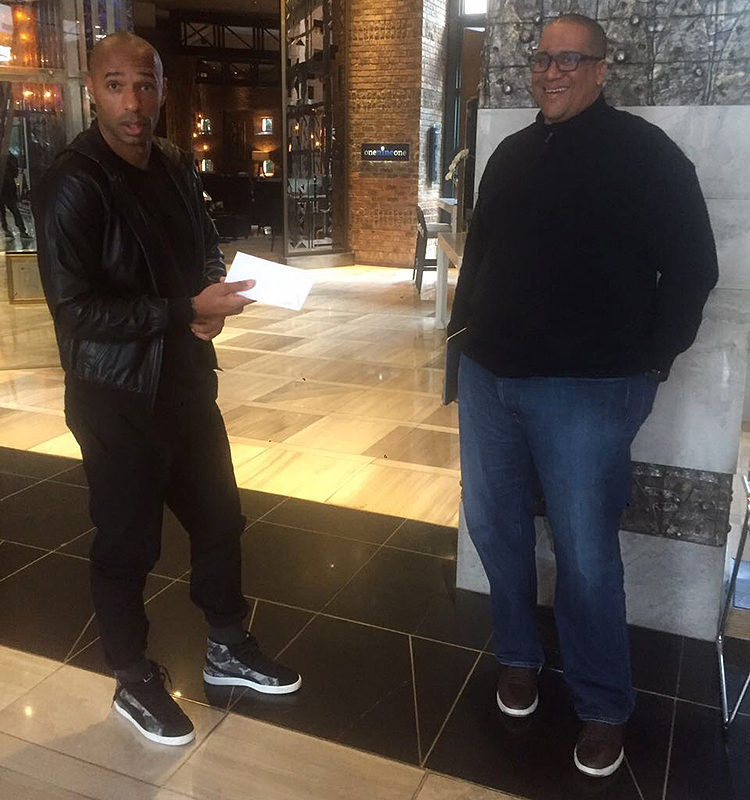 Let’s do it.” Kudos to the global icon, Henry. May more superstars and B-list celebrities take a cue from you. Speaking of celebrities, the NBA players and coaches did everything they were asked to do on this trip. They were very much engaged with the selected teenage hoopsters taking part in the Basketball Without Borders Camp on Aug. 1-5. They scouted the teenagers and took a draft for their teams seriously, as if it were the actual NBA draft. Cousins walked around with a smile daily and appeared to really be having a ball. Denver Nuggets coach Mike Malone coached one of the games with enthusiasm and competitive fire like it was the NBA. It was also heartbreaking to hear Portland Trail Blazers guard C.J. McCollum talk about his UNICEF trip to Ethiopia before this event, in which he went to a village where water was scarce and people had to walk 10 miles to get to a hospital. Toronto Raptors guard Kyle Lowry also showed me a crazy photo of a safari he attended in which he had a picture of a tiger chewing on an animal it had killed. My favorite basketball moment of the weekend was seeing new Utah Jazz guard Sefolosha nearly in tears when the South African fans cheered him on the loudest during the NBA Africa Game. Sefolosha was born to a black South African father and a white Swiss mother who departed from South Africa during apartheid because of racism. Now, 30 years later, Sefolosha played in an exhibition game in Johannesburg as white-black couples smooched with no problem on “Kiss Cam” during a timeout. NBA Africa director Amadou Gallo Fall and I are former teammates at the University of the District of Columbia and he has been asking me to come to Basketball Without Borders in Africa for years. I was proud to see my African brother’s amazing work firsthand. During an event that the Senegal native hosted after the game Saturday night at a posh nightclub called The Venue in the upscale Rose Arch neighborhood, he was overjoyed as Henry, several players and coaches toasted him for the successful weekend. A night earlier, Fall and my friend Michka Bengio hosted a wonderful event at a restaurant-bar called Saraba. My cabdriver was nervous taking me to that neighborhood, but if the small Frenchman Bengio was taking me there, I knew I was in good hands. Fall and Bengio’s goal was to showcase African excellence and culture through food, and they did it well. They also wanted to bring people of all races together in a still-segregated city. I had some delicious oxtail that fell off the bone while Shazam-ing African music, watching folks enjoy hookah despite my allergy concerns and loving the vibe that included a live DJ. 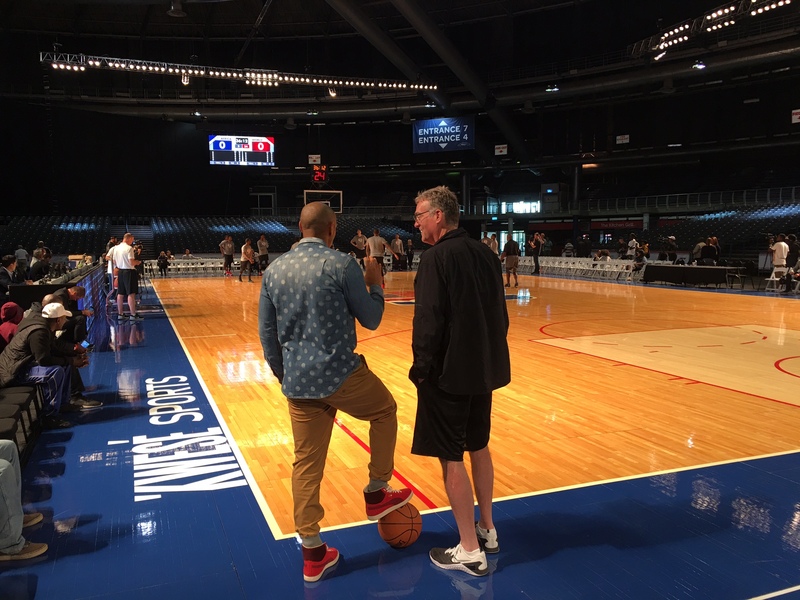 McCollum, Sefolosha, Charlotte Hornets guard Kemba Walker and other NBA folks attended. I should have gone on a tiger safari on the last day, but I worried I’d return too late in preparation for my Sunday night flight back to the States. 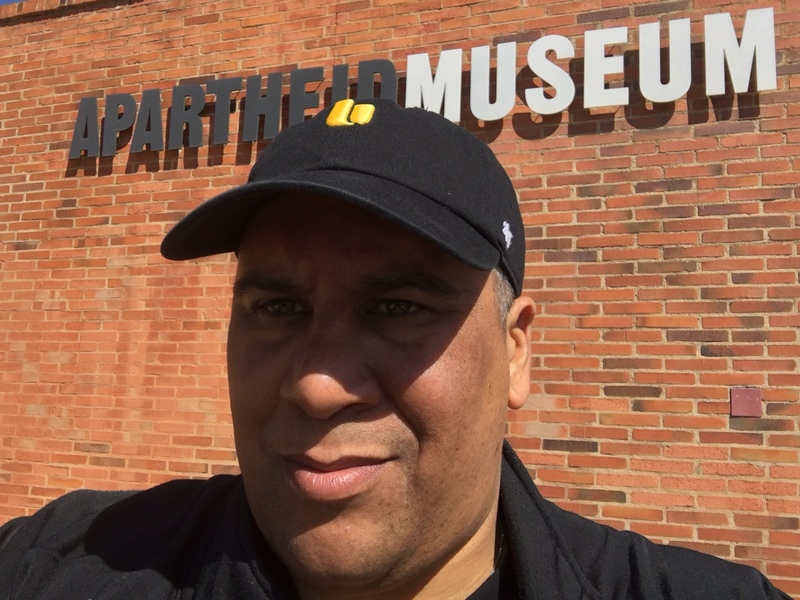 Instead, I went to the Apartheid Museum solo. For the first time, the streets of Joburg were empty during the ride over, as the driver explained that most people were in church. I saw a lot of poverty during my time there, but what stood out the most was a mother and two kids who had to be under 5 saying hello in unison at a light, asking for money. It put in perspective how blessed I am and have been. The Apartheid Museum oddly had a car show going on Sunday. During the beginning of the exhibit, I was given a view of apartheid through the eyes of a white person through the section of the museum I was in. I next went to watch an apartheid movie and didn’t notice my wallet falling out of my jacket pocket when I leaned back in a chair. Once I realized my wallet was gone, I left the movie and approached a nearby museum employee for help. She was given my wallet that had a significant amount of money in it. Wallet was returned. Money gone. I hope the people who had the morals to return the wallet but not leave the money really needed it. An employee from the museum felt so bad she scoured the premises twice trying to catch them. I was still able to have an amazing lunch of chicken curry, rice and salad and had a ride back to the hotel, thanks to my credit cards. Like I said, I’m extremely blessed. As I rode to the airport, I started thinking back to my first trip to The Motherland. I fell in love with the people and their food, excellence, music, pride and success. I will never forget seeing so many successful black people, and that most of the billboards had advertisements with blacks on them. Special thanks to veteran hardworking cameraman Leon Hagen, who also served as a tour guide for Johannesburg and was super accommodating. Keep in touch, “hoss,” and that candy you gave me came in handy on my long flight. Also, thank you to television producer and Anaheim Angels fan Tadiwa Kambarami for all of her help and jokes. It was also an extreme pleasure to get to know and work with injured WNBA forward Chiney Ogwumike, who has a future as a star television basketball analyst and personality. Keep an eye on her. My driver to the airport asked me when I was returning to Johannesburg. I was asked that several times by natives. I would love to get more time to explore Johannesburg, but I also feel like I need to see more of the continent before I come back too. Morocco, Senegal and Nigeria are on my wish list. The driver seemed fond of the Undefeated hat I was wearing and also asked if I had an extra NBA Africa T-shirt. With “what would Undefeated editor Kevin Merida do” in my mind, I gave the driver the hat and a large-sized T-shirt that I happened to have in my bag. 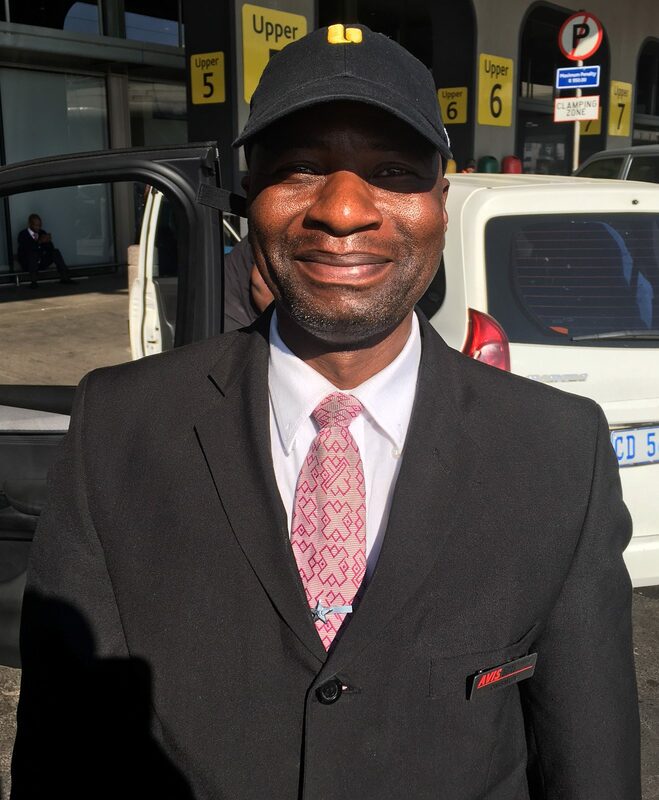 The driver, Onismus Mosoma from Polokwane, South Africa, smiled brightly and thanked me. No, thank you, South Africa. And to answer your question, I can’t wait to get back.